Applying the technique of IPL and Bi-polar Radio Frequency, the equipment acts on the entire skin corium and connective tissue, stimulates the collagens of different depth to realign and grow, then gets operation effect. Bio-polar RF release energy at the same time, with the selective absorption for the skin to light energy, various pathological tissues of corium and epidermis creates Photothermolysis effect. 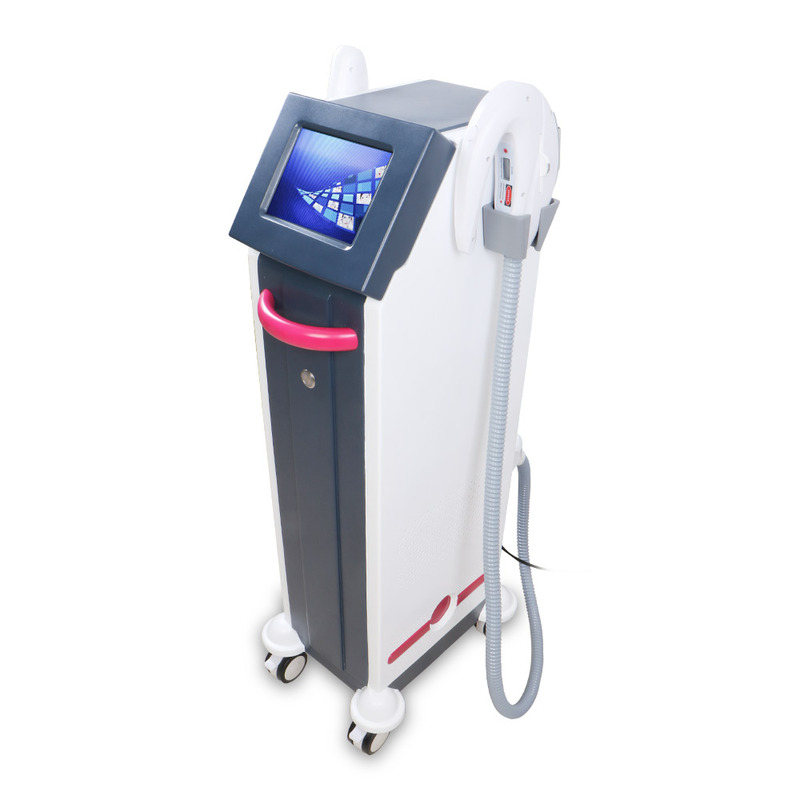 Since light energy is far below conventional IPL, the pigment tissue and vascular pathological tissue of the corium and epidermis would absorb more energy without injuring the epidermis, and then remove these pathological tissues better and get the effect. SHR/OPT combine the advantages of the Power Light, pulsation light (IPL) and radio frequency methods together by using high pulsation number with low energy. This new technology is slowly heating up the hair roots without causing any uncomfortable sensation or surface damage, achieving great results and maximum effectiveness. E-light applies three core technology, IPL, RF, and epidermis cooling. It combines the advantage of IPL and RF. E-light applies three core technology, IPL, RF, and epidermis cooling. It combines the advantage of IPL and RF, in one hand, the skin absorbs IPL energy selectively, and the skin also absorbs RF energy, on the other hand, the RF-surface-touch cooling technology removing the discomfort and complications by high heat of IPL. Therefore, the effect and safety of E-light makes a breakthrough. E-light uses IPL and RF two-stage radio frequency technology to act on the entire dermis and connective tissue, stimulating different depths of collagen, rearranging and growing, so as to achieve therapeutic effects, dual-stage radio frequency release energy at the same time, using the skin to Selective absorption of light energy causes various lesions in the epidermis and dermis to produce photopyrogenic effects. Because its light energy requirements are much lower than the traditional IPL, it is possible to absorb more energy from various pigmentation and vascular lesions in the epidermis and dermis without damaging the epidermis. , to achieve the effect of treatment. Permanently remove excess hair from various parts of the body, such as: face, arms, back, chest, underarms, bikini line hair removal, legs, etc. 1. The Operation head of E-light mainly combined with three parts: bipolar radio frequency+low-energy pulse light energy+epidermal cooling. 2. Operation result is obviously enhanced on clinic,and the various skin problems like wrinkle and telangiectasia are greatly improved. 3. Multi-features of E-light machine lead to the machine as the best choice for patient:comfortable Operation ,better effect,faster results and minimal side effects,etc. 4. Easy operation,you only need to adjust the energy of IPL and RF individually. 5. Pre-cooling to the epidermis,this can result in temperature difference between epidermis and dermis,the energy lunched by RF act on the pre-warmed aimed-tissue(such as veins,hair follicles,melanin,etc. ),so as to achieve the best RF penetration effect. 5. scar, birthmark, or mole higher than the skin.